Add some bold hues to your look with this crop top. 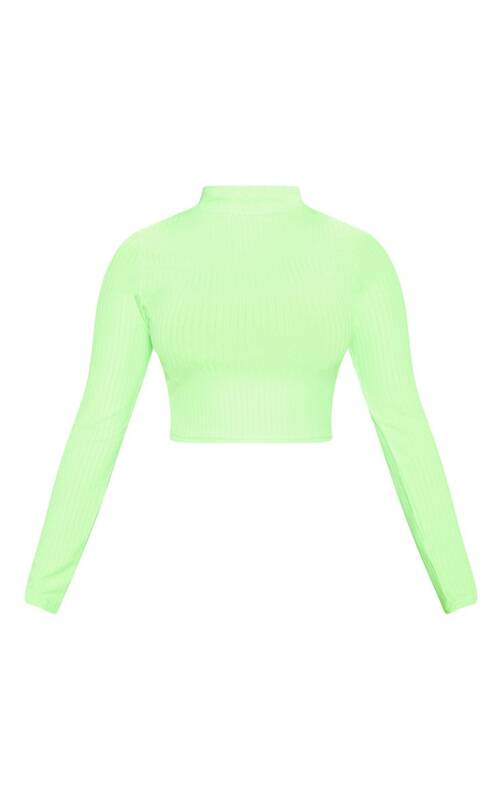 Featuring a neon lime ribbed material a high neck and long sleeves. Team this with wide-leg bottoms and neon mules for a night out with the dolls.